Hellman, I. (2006). From Home to Nursing Home: A continuum of care for dementia patients. In LoboPrabu, S.H., Lomac, J.W., & Molinari, V. (Eds.) Caregiving in Dementia. Johns Hopkins Press, Baltimore, MD. Hellman, I. (Summer, 2005). Consulting in Geropsychology: Self neglect and hoarding. In Psychologists in Long Term Care, Vol 19 (2), 1- 10. Hellman, I. & Moye, J. (Summer, 2004). Capacity Evaluations: Elder abuse, financial capacity evaluation for cases of fiduciary abuse and undue inlfuence. In Psychologists in Long Term Care, Vol 18 (2), 1- 8. Hellman, I.D. (2003). 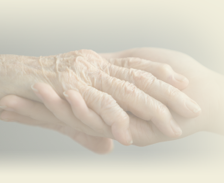 Medical Issues in Elder Abuse. In K Killeen (Ed.) CSAA Elder Abuse Video Project. IMO Productions, Sacramento, CA. Hellman, I., Morrow, D., & Schewindiman, D. (2002). Self Neglect or Neglect? Determining Culpability. California DA Association Brief, 7(2), 1-3.